…hiking your legs to your chest as you plod back to the house. The copious layers of outerwear you’re sporting cause you to mildly resemble a marshmallow, yet you feel the wind cutting through the fabric anyway. Your fingers are stiff in your gloves from the frigid water that splashed up as you chopped ice and filled water tanks. Not a moment too soon, you reach the front door and force your almost-numb fingers to clumsily grip the doorknob. 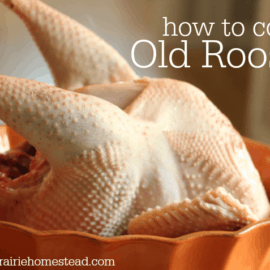 As you push the door open, your face is hit with a wall of warm air, and the most tantalizing scent fills your nose. 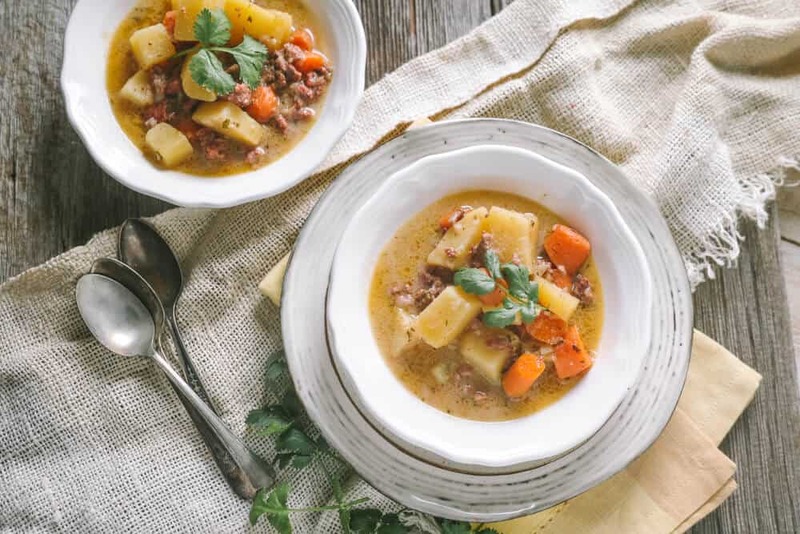 Rich, soul-warming broth and savory sauteed onions and garlic, all tumbled together in a mouth-watering, cheesy sauce with potatoes and ground beef. Comfort food at its finest. And you made it yourself. 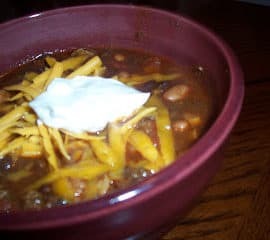 Most crockpot cheeseburger soup recipes call for a pile of processed ingredients, including frozen potatoes, processed cheese product, and MSG-laden canned soups. Thankfully, it was pretty easy to make a few ingredient swaps. The result? 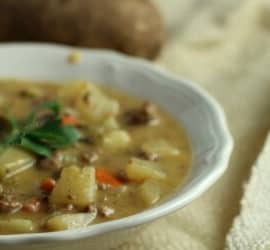 A mouth-watering, from-scratch cheeseburger soup recipe you can make in your slow cooker that tastes better than the processed version. WIN! Brown the ground beef in a large skillet. Add the onion and garlic and cook until the onion is softened. Sprinkle in the flour, cooking and stirring for 3-5 minutes to allow the flour to brown. Add this mixture to the slow cooker, and then add the potatoes, carrots, parsley, salt, pepper, and chicken stock. 30 minutes before serving, stir in the milk and cheese. Allow it to warm through, and season to taste with more salt and pepper. Garnish with fresh parsley, if desired. 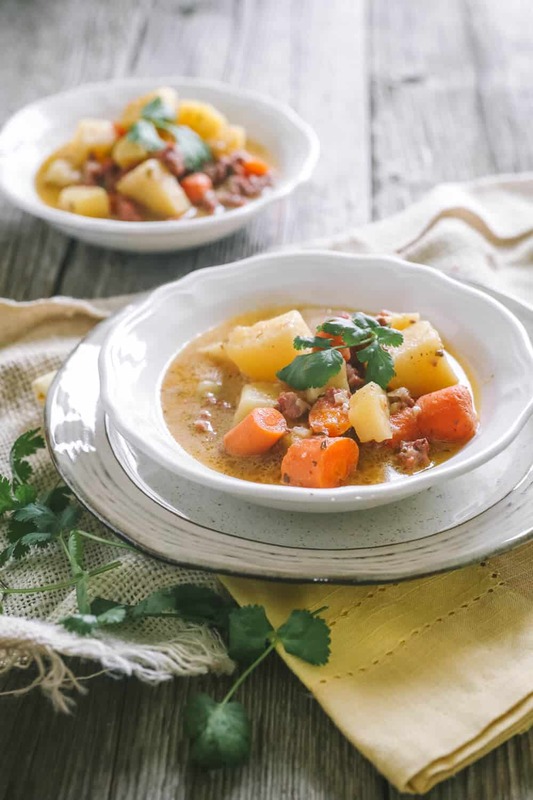 I love using our homegrown Yukon Gold potatoes in this recipe when I can. The skins are so thin and delicate, I never bother to peel them. The type of broth you use will make or break your soup– and of course, homemade broth is best! You know I’m gonna tell you to serve this with homemade french bread, right? I haven’t experimented making this recipe with non-dairy milks or gluten-free flours, sorry. minutes before serving, stir in the milk and cheese. Allow it to warm through, and season to taste with salt and pepper. 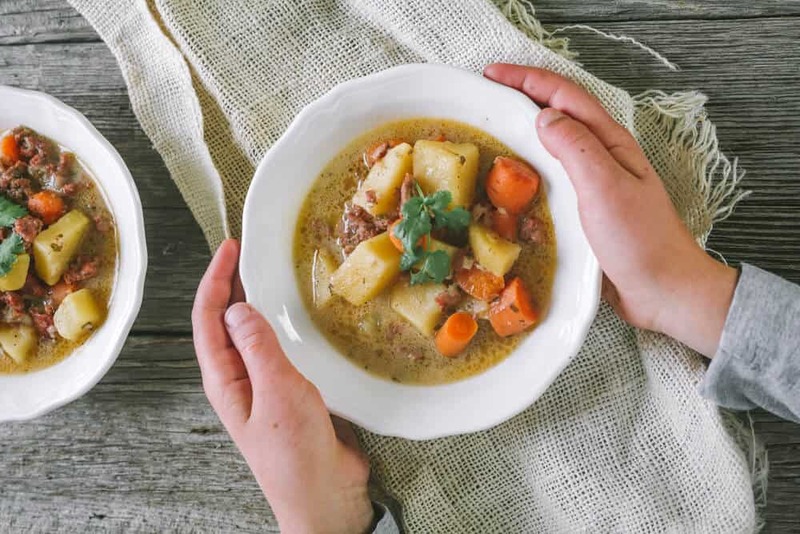 This looks like the type of soup my husband and kids would love! Oh yes… kids and hubbys love it! I don’t forgive soup recipe postings…..I relish in them! Loved the french onion soup and I’m sure this one will be a winner as well. Thanx! Thank you for another delicious soup recipe, Jill. I love milk-based soups. You intro made me think of Ratatouille or that old Campbell commercial when the boy came home to a chicken soup and all melted at the table. I still need to make your French Onion Soup, and this will be next. From scratch soups are my weakness. I can eat them every day. Especially in the winter. It’s good to know that you don’t peel potatoes. I don’t either. There is so much nutrition and flavor in the peels. Russets may get tough sometimes, oh well. Yup– I love potato peels, hehe. 🙂 Enjoy! Jill, I was wondering how long I would do this in a pressure cooker, please reply? I never thought of making the flavors of a cheeseburger into a soup! How unique! Carrots are perfectly acceptable! We’ve actually started adding grated carrot to our hamburger patties to make them stretch a bit and add more veggies to our diet. Thank you for the soup recipe! 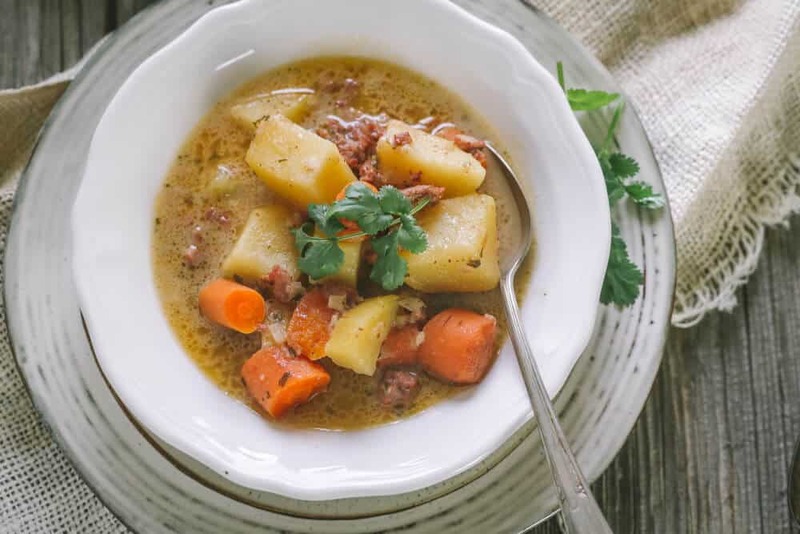 I love soup in the winter and this one definitely makes it meal. 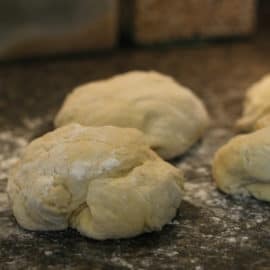 Being gluten free I am going to substitute the flour for cornstarch using half the amount. Can’t wait to try it this weekend. Keep the recipes coming. I know what I’ll be making on Sunday! I’m lactose intolerant — I have issues with milk and ice cream, but not cheeses. Weird, huh? 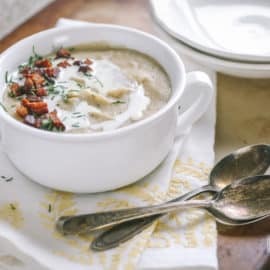 — so instead of using milk in cream-based soups, I just add a block of cream cheese. My 7yo DD told me that I should “add cream cheese to EVERYTHING, Mommy! It tastes SOOOO GOOD!” LOL Thanks for this recipe! You offer so much on a variety of subjects that are so helpful. Thank you Plan on making your pasta today…. I was checking out some sites I hadn’t been to in awhile before I went to find something to make with hamburger (got a good deal, bought six pounds!) and there was this recipe. Only thing I did different was use fiesta cheese instead of cheddar because that is what I had. Awesome! Hubby said “bookmark that! which is his sign that he really likes something and wants it again. I even made your French bread to go with it, again, awesome. Thanks. Yay! Always good when it’s hubby-approved! Equal amounts white rice flour and cornstarch is a good substitute for wheat flour as a soup or gravy thickener. ? sounds really good but when does the onion powder go in? Drove home from 3 states away today in snow, slush and rain….what to make for dinner when we get there??? 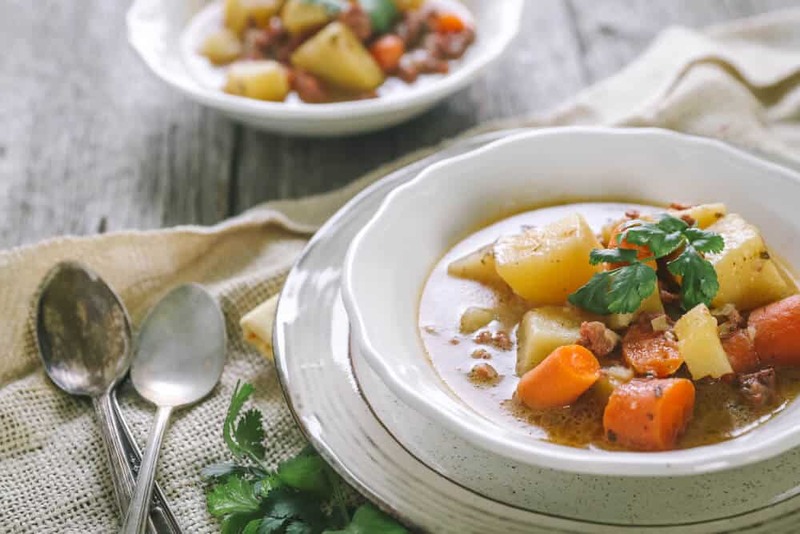 I came across this recipe just today and thought…I have that, and that and that…bone broth in the freezer…check…so I made it using Lactaid and it was AWESOME! Real stick to your ribs. Excellent go to for me now!!! Thanks a million Jill! This one’s a hit! 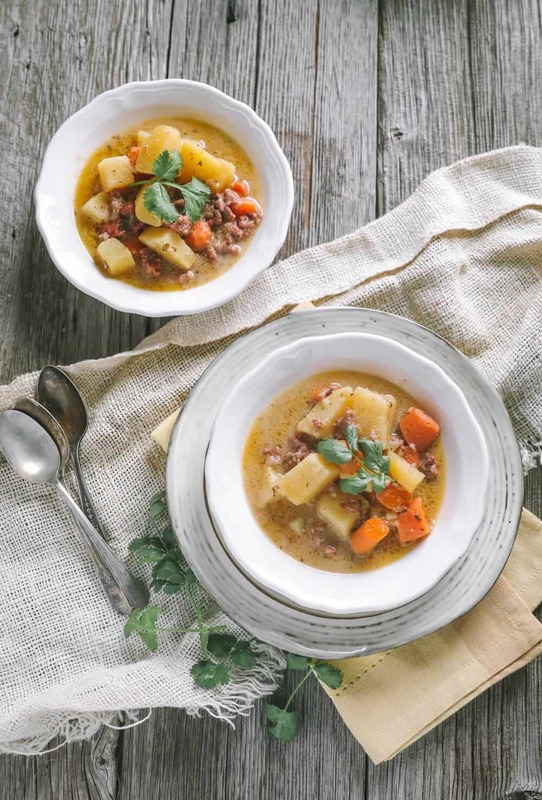 My grandma used to make a similar soup but with beef broth. It looks a little greasy on top and so I will drain some of the grease if my hamburger has too much, though it usually has very little. I believe this is on the menu for tomorrow night’s dinner. Looks yum! I made this today and one grandson loves it. I ended up not having any potatoes and so I used canned, sliced potatoes and it turned out good. 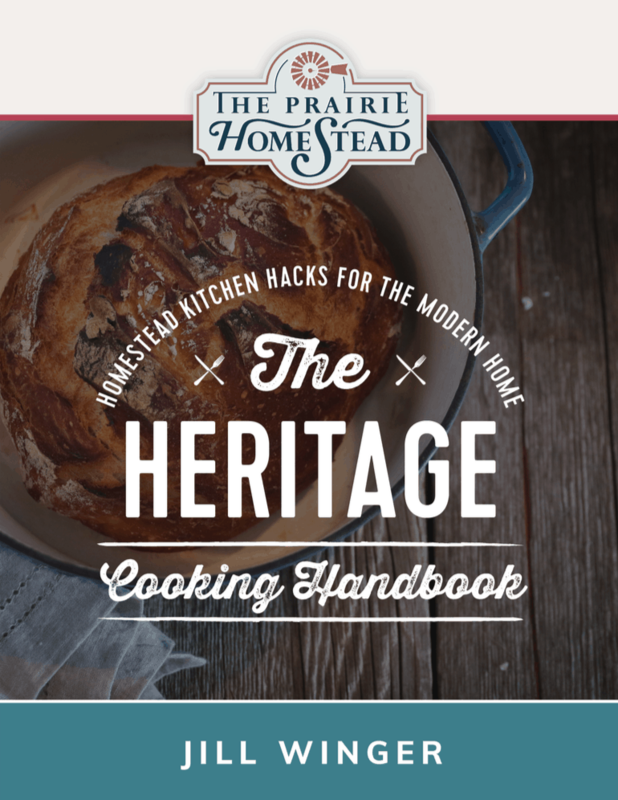 I also made mine on top of stove and not in a slow cooker. 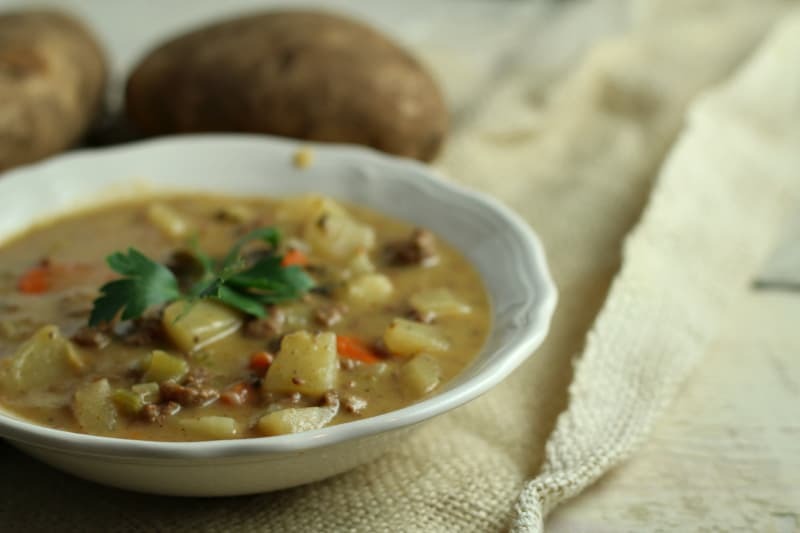 I will add some green pepper next time, but it is a good, hearty soup and easy to make. Thanks! Here’s an easy substitute for flour for us Gluten free people- use sweet rice flour blended into a small amount of cool broth. Add it to the hot soup, stirring constantly till soup is creamy.